It’s soup season, yay! I decided I was going to step out of my box and make soups other than vegetable and potato this year! 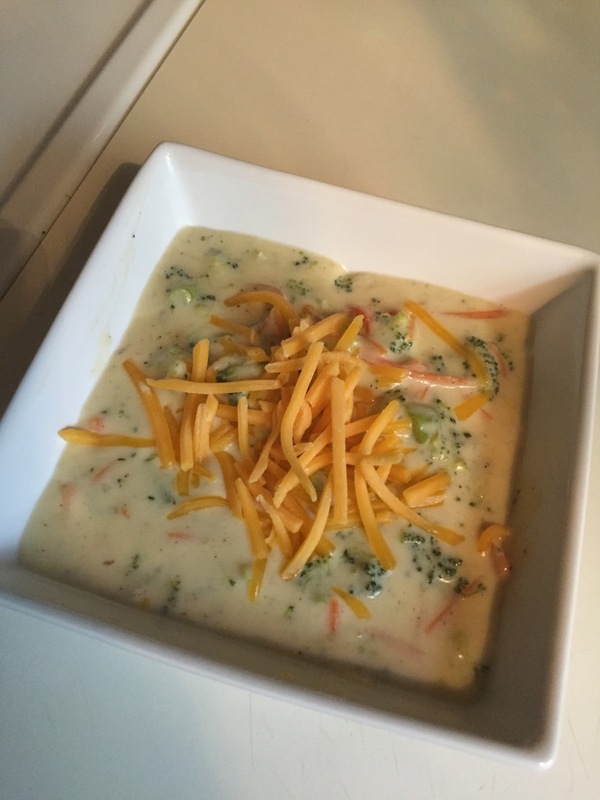 I love Panera’s broccoli cheddar soup, so when I found this copy-cat recipe, I was super excited! I decided to make it for dinner today and it turned out delish! The only thing I would change next time is less nutmeg, or even leave it out completely because the amount the recipe calls for is a bit strong in flavor. I also added a splash more chicken stock to thin it out a bit. I can’t wait to try more soups this fall/winter! Do you guys have any faves?